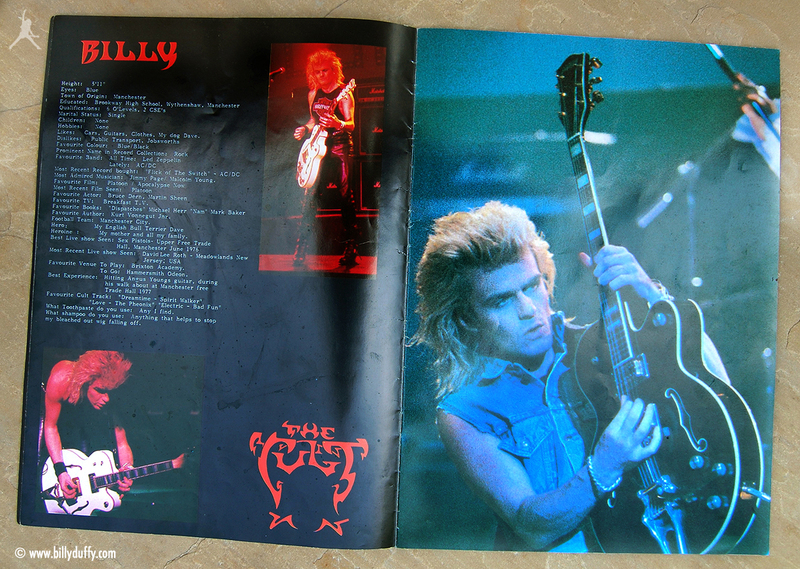 Billy’s pages in The Cult ‘Electric World Tour 87’ Programme from March 1987. In the text as well as name checking his usual favourites like Led Zeppelin and Manchester City his answer to the question 'What shampoo do you use?' was "Anything that helps stop my bleached out wig falling off." Also interesting is that the big picture shows Billy playing his Gretsch Country Club that he'd customised to make his own 'Black Falcon'.